It’s no secret that balancing family and work life isn’t always a walk in the park, which makes the flexibility on both sides a key to success. 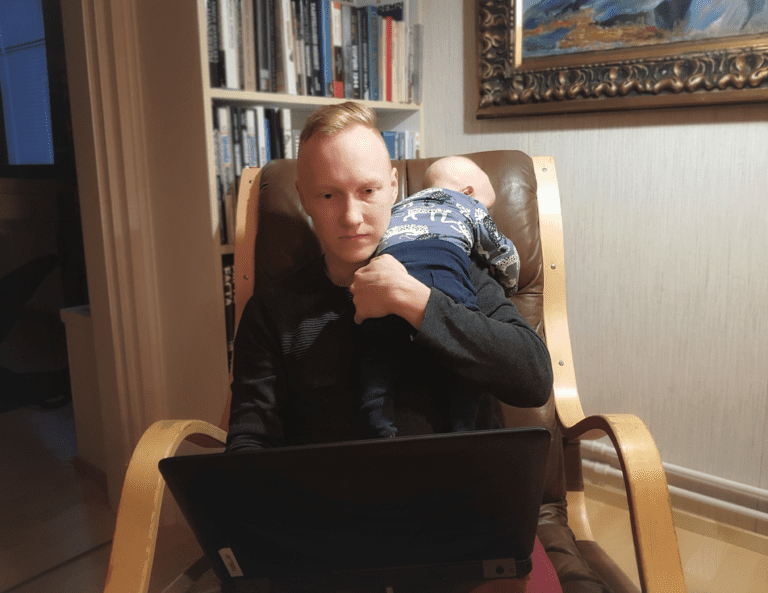 Proud father of three, Fastems’ Finance Director, Ville Purhonen, is an example of how even members of the executive team can take paternity leave. After welcoming the newest addition to his family, Ville had to find a way to make the shift from working full-time to parenting full-time. “I recently spent 6 weeks on a paternity leave and I have to say that being home was really great – although I can’t say I didn’t have my hands full, this is our third child after all.” Ville laughs. Ville feels that positive attitudes towards flexible working arrangements have everything to do with company culture. It’s one thing to conform to the laws on paternity leave, but another thing to show understanding and acceptance. After all, people have a lot more than just work in their days. Because of this, having the support to find work-life balance is crucial. “I feel that people should not be hesitant to speak up when they feel they’re in need of more flexibility at work. Sometimes handling situations in life are easier when working 80% instead of full-time. It’s important to remember that open discussion about possible solutions is more than okay. Working arrangements that were once agreed upon are not set in stone.” Ville explains. “Openness advances flexibility. This means not having to contemplate your options alone – but instead coming together to find what works. In my experience, transparency truly helps in finding solutions for a good work-life balance,” he continues. It can feel like there’s never a right time to take some time off or reorganize working arrangements. Even Ville admits that it probably won’t feel easy, and recognizes that finding balance requires a game plan. However, it’s important to realize that most of the time finding solutions is easier than expected. 6 steps: How to make a successful FMS ramp-up?